We all could use a little more energy throughout the day. Adding coffee to our daily routine helps immensely but what happens when you take your coffee drinking too far and hit that shaky, jittery caffeine wall? When we consume too much caffeine we begin to affect our body’s natural energy regulatory system. Also for everybody who drinks their coffee with cream and sugar, you are consuming quite a bit of extra calories. So what can you do instead? Make the simple switch to Green Tea for a slight caffeine kick along with receiving some major health benefits. I have met many people that drink coffee strictly for the caffeine kick, also claiming they do not necessarily like the taste which leads them to adding a great deal of cream and sugar to their morning and afternoon beverages. When we make this choice to sweeten our drinks, we begin to play with our body’s natural tool to regulate blood sugar, which is the hormone Insulin. When we consume sugary things we force our body to spike our insulin and eventually, after regular abuse of sugary drinks and foods paired with other lifestyle factors, Insulin may become less effective at doing its job; also known as Insulin resistance. In more extreme cases Insulin resistance can lead to type-2 diabetes, however drinking sugary coffee drinks alone will not get you to that stage. The point I am trying to make is that we all want our bodies to function at their the best to prevent the onset of any major diseases. By decreasing the amount of added sugars we are consuming from coffee drinks, we can increase our Insulin sensitivity and allow our body to function at it’s best. Green tea serves as a potent anti-oxidant helping to reduce hypertension, inflammation, and help regulate blood lipids. Catechins help promote vascularity through the increased utilization of Nitric Oxide. Catechins inhibit thrombogenesis, or the creation of blood clots. So what does all of this mean? Green tea helps your heart and blood vessels stay strong and healthy. Now lets examine some of the health claims surrounding teas. There is a lot of buzz around weight loss and diet teas along with a great deal of marketing claims that green tea will help you shed fat but let’s take a look at the facts and conclude why you should begin drinking Green Tea. 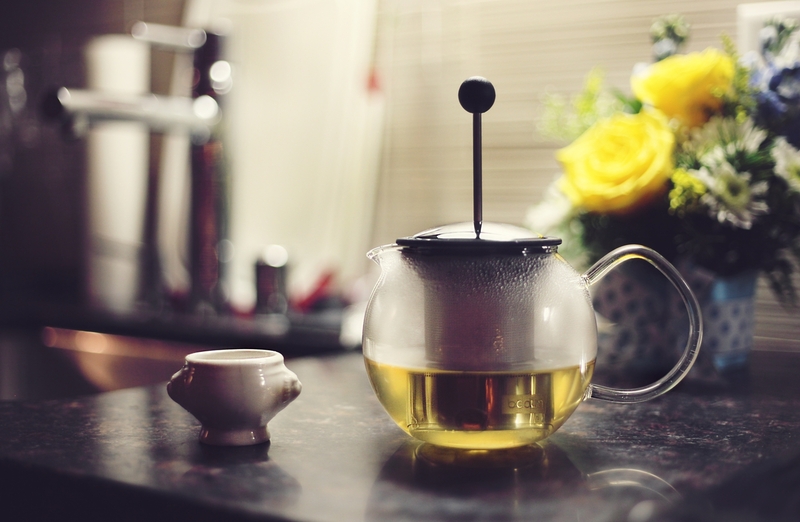 While there is research that supports the thermogenic, or fat burning, effect of green tea, there is contradictory research that says otherwise. According to an interview conducted by NPR’s Eliza Barclay, Maastricht University Medical Center scientist Rick Hursel stated that caffeine does increase our metabolism along with enhancing fat oxidation, so considering Green tea has caffeine, it does effect the amount of energy our bodies use along with the breakdown of fat. As far as Green tea and any other specialty extreme fat burning and Energy boosting teas on the market, they have about the as much fat burning potential as plain black coffee. NPR’s Eliza Barclay also write about Blue Zones, or areas of the world where the populations have significantly longer and healthier lives due to diet, lifestyle, and genetics. She notes that in these areas the general rule is to have coffee in the morning to receive that caffeine boost, and tea in the afternoons to keep you marching through the day. This can serve as a fantastic general rule to help avoid the consumption of too much caffeine late in the day, possibly leading to sleep disruption. The main reasons to drink Green tea are to help taper your caffeine consumption all while consuming extremely beneficial catechins found within Green Tea. Skip out on buying expensive fat loss teas and spend your hard earned money on healthy vegetables and fruits. Next time you’re about to grab a tall mocha Frappuccino, skip the extra sugar and grab a green tea. Your body will thank you. This entry was posted in Cooking, Food, In the Kitchen, Recipes, Water and tagged Coffee, Cold, Drink, Health, Hot, Tea. Bookmark the permalink. I used to drink coffee for years in the morning and then came across some articles about switching to green tea. After changing away from coffee I’ve felt a lot better during the day. Stomach works a lot better and skin is more healthy.